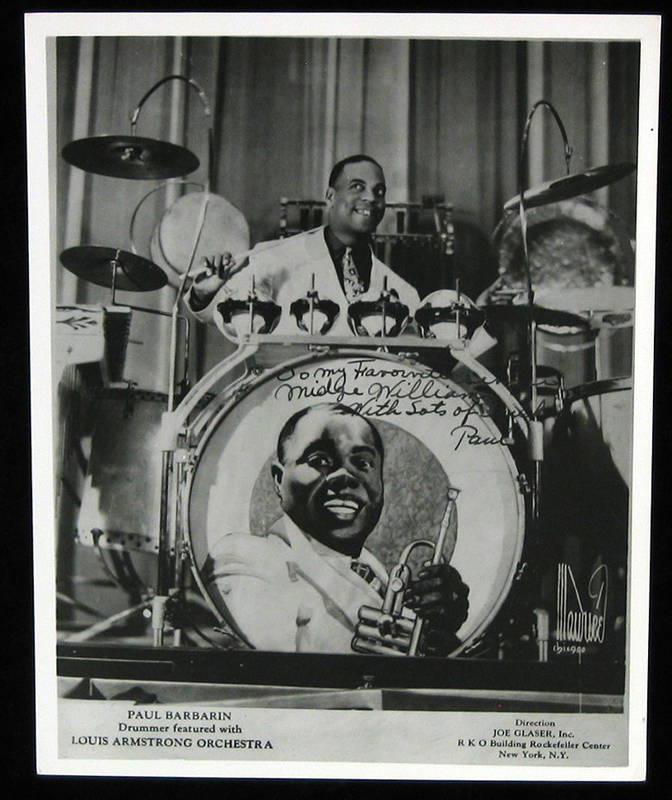 This remarkable photograph of Paul Barbarin, New Orleans drummer, when he was driving the Louis Armstrong Orchestra (1935-39) is autographed to Midge Williams, who sang with Louis at the time (as did Sonny Woods, to handle the sweet numbers and to give Louis a rest). It’s no longer possible to call up Joe Glaser and offer to hire Paul Barbarin, but this photograph — with all those lovely cymbals on hangers, temple blocks and a gong (take that, Sonny Greer!) — makes us recall that such a thing was once possible. 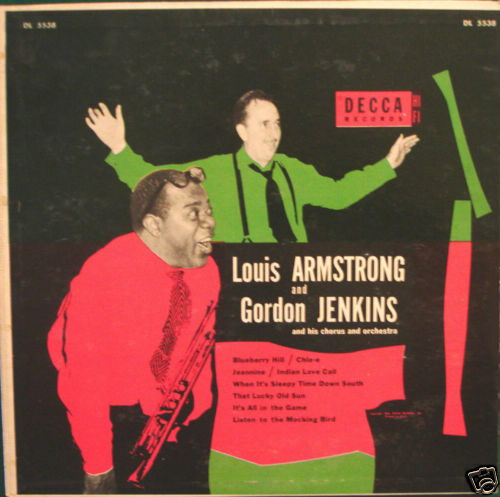 More from Mr. Strong, the top picture particularly meaningful to me: from one of the Decca sessions that paired Louis with Gordon Jenkins — and someone I never noticed before, half-hidden behind Louis, the Blessed Milton Gabler. 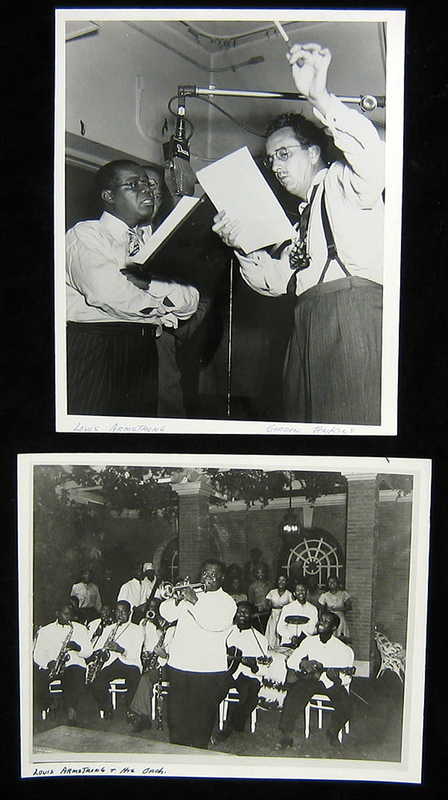 The lower photo depicts Louis in front of what resembles a smaller late-Forties big band, but it’s all mysterious now. 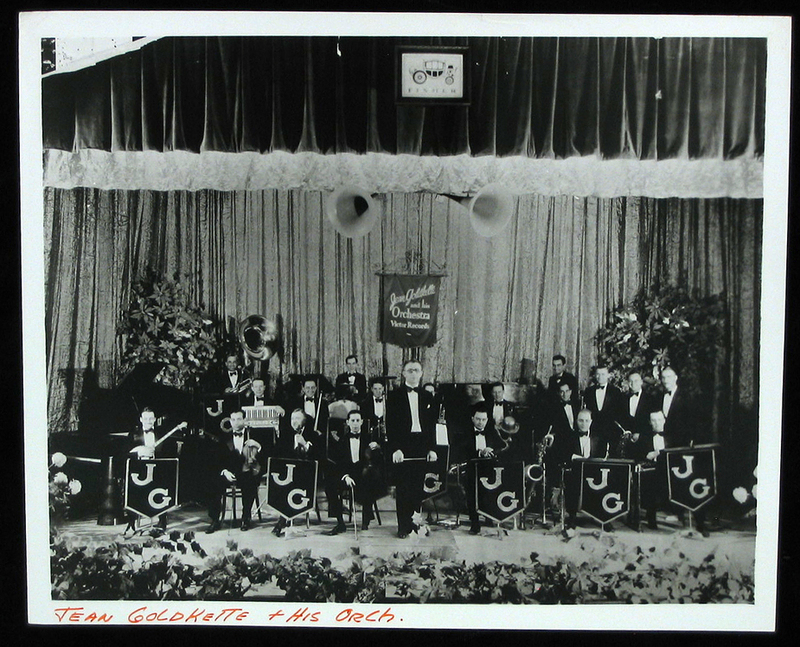 Jean Goldkette and his Orchestra: I’ll rely on one of my scholarly Bixian readers to identify this one: time of day, place, and personnel, please!